I've had a lovely week off. You know, actual time off, not writing a single word kind of week off. Thinking, of course, has proceeded at a great rate and the thinking has now caught up with the rest of the writing. Meanwhile, I have aced Christmas and Solstice with some help from the children: presents and food on order, a freezer full of goodies, logs in the store (you never know, it might snow!) and the house organised. It's become a bit of a stress over the last few years - so many people, not enough time - but this year I got organised early enough and told people they would be helping. And they did. Thank you, Sophie, Matt, Sam, Isaac, Carey and Rosie, as well as thank you to my ever patient chauffeur. Today we went to Exeter and indulged ourselves with some new clothes and a lovely lunch out. So, the holiday is drawing to a close but I'm ready to jump back to work and my edits on Book 1. Now writing is work (even though it's still fun) I have to find some way to balance up life and work. I wrote every day for 81 days, and while this might suit some people, it turns out, I may need a bit of thinking time. Say, Sunday afternoons and bank holidays. Maybe sick days. 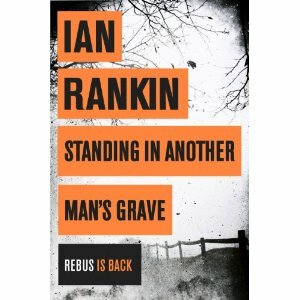 I am lost in admiration of writers who work in proper jobs and still construct brilliant novels. Last night, our writing tutor set us a task that ended up...nauseating. We were made to produce the crassest of romantic writing. We were to use all the tricks of the trade and exaggerate them into the most disastrous of bad writing. Well, I hope I don't sound too big-headed but after five years of unlearning bad habits and establishing new ones I winced my way through one page and announced the nausea to be overwhelming. I do get to write a monologue, though, should be fun. I used to take days off all the time...and enjoyed my hobby, writing. Now, writing is work, so I'll have to find another hobby. We have decided (partly because I'm not very well, admittedly) to take a few days off, really off, so no writing. I've finished two books I had started but kept putting down. I've entertained a visiting daughter plus one, and played board games and gone out to lunch and planned the Christmas/solstice break like a military campaign. I've cooked for the freezer, I've sorted out books and papers, and we even cleaned a room and reorganised the furniture. Now I do feel guilty because I didn't write, in a way, yet my thinking time has been incredibly fruitful. I have a main plot for book 2 and various subplots, one of which is growing and becoming...uh, book 3. Time away from the draft, which is essentially now ready to rewrite into the next draft anyway, has given me a perspective I didn't have while I was toiling away at the keyboard. I shall bounce back renewed, hopefully. I'm just waiting for medicine to work, and fortunately, my husband has a rare week off anyway, so we are enjoying the time off. Oh, and I passed my MA. I am now officially a graduate of an MA in Creative and Critical writing. I have had one disappointment. I knew I wouldn't get a distinction for the MA overall because one of my marks was too low to qualify (by 2%, so I didn't feel too bad). But I did expect to get a distinction for the creative part of my dissertation because the criteria includes the description "publishable" as part of the distinction mark, 70%. I got 68%. Not quite publishable. Should I return the advance? Or can I just accept that maybe the markers are a tiny bit out of synch with what publishers are actually looking for? I was tagged to be a part of this meme by Kate Kelly at The Scribbling SeaSerpent, whose debut novel is called Red Rock and is going to be published next year. Her version appeared last Wednesday. It’s called The Secrets Of Life And Death and will be published sometime next autumn, hopefully around October. I can’t say more than that as the publisher hasn’t announced anything yet officially, but I am signing contracts at the moment! I am terrible at titles (this one was invented by my clever agent) and so far the other books in the series are called—wait for it—book 2 and book 3. My main character, Jackdaw Hammond, just started whispering to me after I was thinking about the idea of living on ‘borrowed time’. I was writing another book (creatively named ‘the B&B book’) and I started Secrets for fun. It eventually ended up in my MA dissertation. It’s fantasy, but inserted into a real world setting, about three fifths is set now in rural Devon and about two fifths in sixteenth century Eastern Europe. Lots of yummy research. My professor, Felix Guichard, would be played by Rufus Sewell. Sorry, I’m distracted now. I just can’t do one sentence, I really try. I can’t pitch for toffee either. I was so lucky. I went in for a competition and was one of two runners up (the other, Nicola Vincent-Abnett is tagged below). One of the judges was Clare Alexander of Aitken Alexander Associates, who sent my book over to Charlotte Robertson, who took me on! About four months, but my first drafts are written in advanced cliché and consist almost entirely of loose ends. It took seven more drafts to have a single, coherent entity. I’d love to say I’ve learned my lesson, but I’ve done exactly the same with Book 2. The Historian by Elizabeth Kostova inspired me, I also enjoyed Kate Mosse’s books but I think Kelley Armstrong’s series would possibly be in a similar vein too. It’s hard to look at books you love and imagine your own anywhere near them, to be honest. My son, Carey, who loves Armstrong’s books so much. Talking ideas over with him, then with my husband when we drive out to a favourite restaurant once a week, developed the plot. Though the historical strand was all mine. Did you know the Inquisition is alive and well? Knowing that, I introduced Stephen McNamara, inquisitor for the modern age, who becomes a kind of hero. I was fascinated by Elizabeth Báthory, a real character from history who murdered dozens if not hundreds of girls, and who plays a big part in both strands of the book. Now it’s my turn! These are THE NEXT BIG THINGS you should be keeping an eye on, so you can tell all your friends to buy their books! Hopefully, they will answer the same questions next Wednesday - but if they are too busy, still check out their blogs and books! v NicolaVincent-Abnett, who I mentioned before, because she has written a book of heart-wrenching power and emotion about survival in the face of overwhelming challenges. v Bethany Coombs, who writes second world fantasy series and needs encouragement to get an agent and get out there. I can’t wait for book 2 of her series! v Liz Fenwick, whose first book, The Cornish House is delightful, and funny, and emotional, and I’m looking forward so much to the sequel. She has also shared her publishing journey, which has encouraged me. v And CallyTaylor, who so generously blogged the whole experience of becoming published and being a writer, and was personally supportive. I know I’m not the only one who wants to know more about the new book! I recognised that I was in the doldrums so looked back at what I did on previous books at the same point. Interesting reading! When I really get stuck I write the ending in a mad rush, because I've been thinking about it for ever, and then the links just appear. I'm writing fast and making notes on what has to have happened to get from A (the beginning) to B (the middle) to C. It's working, and better than that, the action scenes are good to write after a lot of chatting earlier. it did occur to me that I have written two books from scratch this year, one to second draft and I have substantially rewritten a previous book. Productive year. I've also managed a poetry collection. Blimey. Success is the best encouragement to write. I'm waiting to her from my new editor about book 1...then I can make the necessary changes and get the book back to him. Meanwhile, I'm trying to get the scrappy, untidy draft of book 2 into a reasonable shape so it can be tucked away for the fermentation process that happens while I work on the next book. I'm amazed at how many ideas I've had about the 'old book' now I've half forgotten it! Anyaway, back to work... it turns out writers work 7 days a week. There are two areas of the books I struggle with. After the initial rush to get all the first ideas down I sit back and think, what next? I know, broadly how the story will end, and am thinking about the ending through the whole process. I stall for a while, at about page 40 or 50, and struggle to write a minimum of a thousand words a day, which I know will be the most heavily edited parts in round 2. I gain confidence in the story strands and the writing comes steadily, but then, at about page 200, I falter again. How do I get from all the middle stuff to the last chapters, which I've been writing in my head for weeks? This, I am sure, is where a sensible plan would have come in useful. That's where I am, in the planning doldrums. People are starting to sit about and drink tea again. It's like they are waiting to jump into the last chapters, too. I usually write those very fast - it only took three days to write the last 11k words of the Secrets of Life and Death. Still, the end is in sight. Strands that reach out into the third book are becoming more obvious. I'm hoping to plot the series on some sort of table, to try and keep tabs on where it's all going. Then I can put book 2 away for a few weeks and work on something else - like book 3, or something completely new. Meanwhile, the writing group's homework is poetry. It's a simple task, but all things with poetry look simple until you try to do them. Argh! We're supposed to look at examples of imagist poetry and have a go at writing them. This is Ezra Pound's example. He described it as being inspired by oriental forms like the hokku. The idea is to link a very concrete experience or place to a metaphor. I'm off to scribble and struggle because any fool can write forty lines with some poetic bits in (OK, it takes a lot of editing to pare that down to a real poem), but two lines (and the title) has to be concentrated and perfect. Hm. Despite insomnia (slightly better but the nightmares can [insert expletive] off), the words and scenes are steadily coming. I set myself a minimum of 10k a week, and they are assembling themselves into scenes and chapters. It's uphill work, I'm suffering from a real dip in motivation (for everything, really) but 10k is a good pace for me. The thing that slows me down in having enough thinking time to write, keeping ahead of the plot. Once I finish this draft, which hopefully will have all the main components in, I can go back and see what I have, plot it out, decide where everything needs to go. I tend to write short first drafts, then write more stuff to sort out the continuity slip ups, loose ends and naff scenes, then finally start trimming down the bits I don't need to concentrate the story down. I have a lot of plot to wrangle, and I still wish I could really plot. Especially as book 1-3 have a certain through flow, and need planning beyond each individual book. I almost feel a spreadsheet coming on...no, it's OK, it's still me, I can't plot on a spreadsheet. I can't plot on anything. 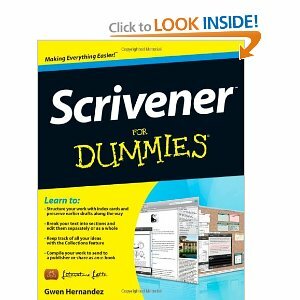 Today I'm expecting my copy of: Scrivener for Dummies. A few months ago, I bought a copy of the Scrivener programme and wrestled with it. As a Word user, I just haven't got my head around it, and the workload didn't allow much time to work on it. I'm back to the very comprehensive tutorial, but when I get stuck I need a paper 'idiot's guide'. This would enable me to replace my inefficient, if colourful, method of putting everything on little coloured cards and moving them around. It's based on - little virtual cards that you - yes, move around. The difference is, your scenes and chapters move with them. No white knuckle ride of cutting (eek!) and pasting. And you have an evolving overview of the whole book. So, I've decided to reorganise my writing a bit. Words first, in case I don't do them. Half an hour of Scrivener training next. Then, the rewriting, attempts at plotting and other bits I do afterwards. Not today, obviously, because I don't have the book yet and I blogged first! No word on the book deal, I'm supposed to be keeping it under wraps until it's all signed and officially announced. Still very exciting, and I'm looking forward to doing the edits for Secrets.